Having a genuine relation and communication with beneficiaries will show your interest to invest in their success. Every word you say or action you take has the power to build or destroy their self esteem. But most importantly your relationship with them. I had no idea that expressing my thoughts will empower someone as it did. Lets face it! sometimes it is easier to live the fantasy that you are changing the world just by been a volunteer or working in social projects. Working hard and leaving your comfort zone it is not an easy job. It requires working an extra mile, low budgets, and taking time to get know your audience. This, eventually will provide something that will work for your target group. But most importantly what they need and want. As a communication advisor you have the opportunity to meet a lot of people. Your are constantly introduce to new partners, project managers, influencers and public servers. 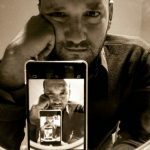 In our daily basis your interaction with others is brief and superficial, since we are either taking pictures, filming or taking notes for a future post. Developing a connection with your audience or target group requires to be present. Investing genuine time and interest in their lives, needs and main challenges. To be interesting to them you have to be interested on them. Therefore, you must be patient and aware of the environment you are about to me involve with. 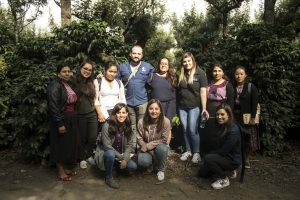 In the last three months of 2018, I invested time to plan some training sessions with well know roasters, coffee cuppers and baristas with members of different coffee cooperatives in Guatemala. After following some previews events with our current beneficiaries I was able to see that there were several talented women that wanted to participate but weren’t allowed by their bosses or time schedules didn’t match. They shared similar stories and roots. Single mothers fighting for equal footing among their male peers. While living in poverty or struggling in their daily basis for an income. Mainly serve as primary labor force for coffee harvest and sorting season. Limiting their potential and job opportunities. I knew this could be a new opportunity or a eye opening experience for them. Also, that asking their bosses and parents directly, as volunteer of a canadian program, will give me a better chance to create an exclusive event for women and young women in the coffee disciplines of roasting and cupping. After going back and forward with experts in the coffee field they suggested that we should start this training session with cupping. 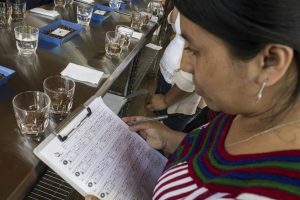 Cupping ,also known as coffee tasting, is technique with standardize process used in the coffee industry to evaluate coffee aroma, flavor profile, quality, defective coffees and create blends. It has become an professional outlet and source of income for many around the world. A fundamental technique for coffee buyers, roasters and baristas. Therefore, we launch the first coffee cupping trainee for women and young women around Guatemala. I wanted a female trainer so the participants would be able to relate and feel comfortable to express themselves. That idea lead me to Dulce Barrera our current nation cupping champion. I read and watch several interview about her journey in the coffee industry and that caught my attention. 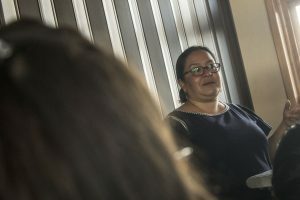 In some of my interventions with women beneficiaries I spoke about her, letting people know that a woman was representing Guatemala in a international competition. 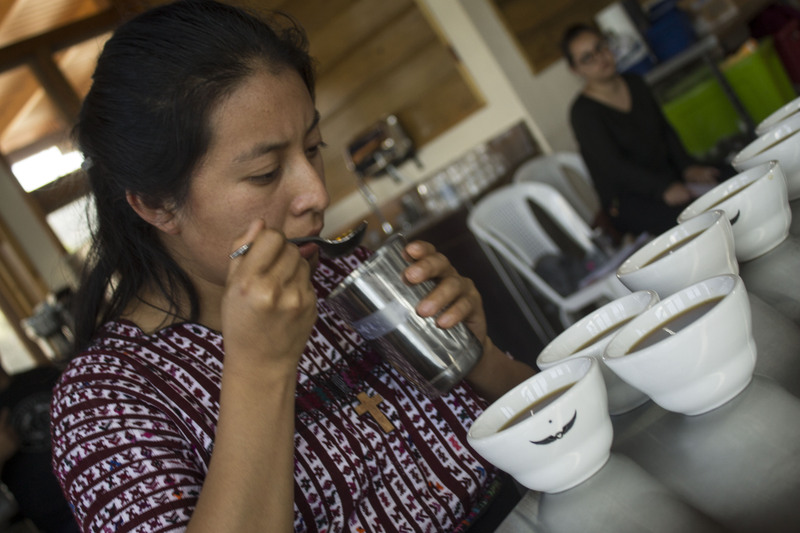 Some believe it others didn’t expect a woman leading as a cupping master. 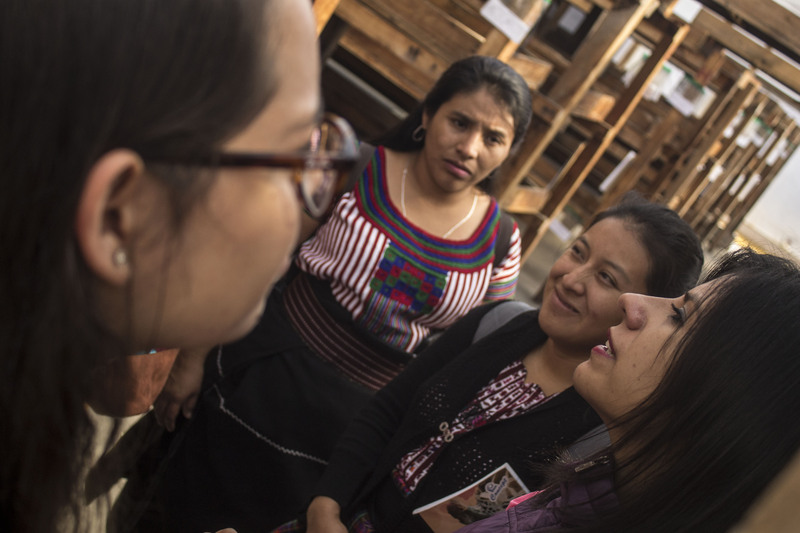 In my first approach, I told her that I used her story as an example every time I met a woman in a cooperative or any other women interested in the coffee industry to encourage them to continue working on a field lead by men. She love to hear it and was excited and agreed to help me with the training. 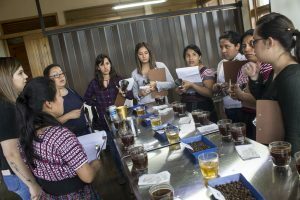 Later we had several cupping sessions with National Coffee Association and the Women Coffee Association ( Asociación de Mujeres en Café) in Guatemala. We were able to scout natural talented women interested to pursue a career in the coffee industry and learn more about cupping. 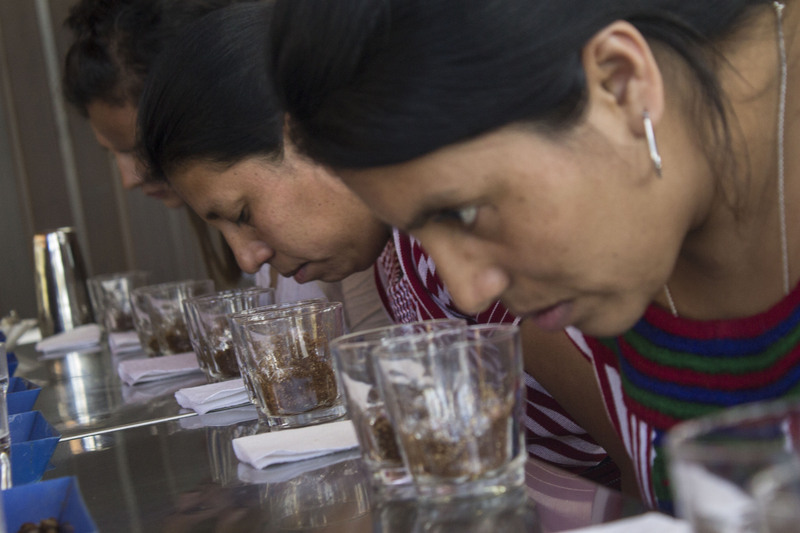 Eight women were selected to be part of the training pilot with Barrera in the Bella Vista Farm cupping laboratory. While working the last few details of the training cupping session Dulce suggested that we should create a small cupping contest between the eight women and as a prize she would give a two day personalized session with other people interested. I loved the idea so we agreed to do it. We were silent for a minute. Then she said, “No one had ever thought I am talented. Thank you for noticing me. I never had an experience like this.” No sound could came out of my mouth, just nodded. Later that day, Dulce gave them some tools and information to help them develop new skill to have a functional cupping experience. She shared her personal and professional journey as a single mother in a business leaded mostly by men. The participants could relate with her story and understood perfectly what she meant through her explanations. During the training we wanted to challenge their abilities so they could find their own rhythm and improve their skills in cupping techniques. They were able to discuss with Dulce all their doubts and struggles in their working spaces. Ideas and information were shared. Suddenly, it was time for the cupping contest everyone was waiting for. The nerves caught most of the attendants who share similar average scores. There were two women that had the same scores. One of them was Claudia. When the winners were announced she stare directly into my eyes and nodded back as a thank you. I nodded back with smile. I could not stop thinking about this event. How by been present I was able to develop a connection with our attendants and have an immediate result. Our hyperactive jobs and commitments will always distract us from what the real value of human interaction. Sometimes it only requires to be present to be encourage and encourage others to fulfill their goals. One of the privilege of been a volunteer in the Uniterra program is that you have the experience to get to know this women, their story and help them during specific period of their journey and they become part of ours.